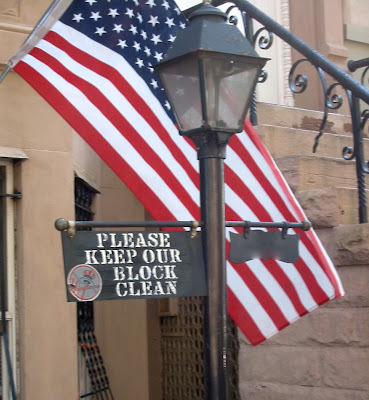 Nothing says "I love my home, block, neighborhood, borough, state, country, world" better than keeping the corners we live in and play in clean. I'm with these neighbors. In that spirit, if you're interested in joining the committee to keep the Sunset Park Playground clean, safe, and accessible - visit the Yahoo! group that has just started up. It's under the auspices of the Friends of Sunset Park, and its main goal is to improve the quality of play for our children.